The 5th Annual CARE Conference will be held at the Francis Marion Hotel located in the heart of historic Charleston, South Carolina. 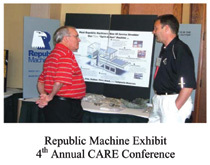 The conference will highlight government procurement activities, advances in identification technology, market development updates, advances in materials processing technologies, carpet manufacturers’ programs, CARE updates and the release of CARE’s Annual Report. 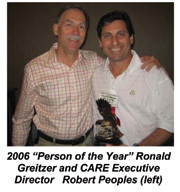 CARE will also recognize the “Recycler of the Year” and the “Person of the Year” during the Annual CARE Awards Banquet. Meticulously restored in 1996 with a $12 million National Trust for Historic Preservation award winning restoration, the Francis Marion Hotel now combines 1920’s style and grace with 21st Century comfort and convenience in the heart of historic Charleston on Marion Square. Rising 12 stories, many of the Hotel’s 226 guestrooms and suites offer spectacular views of Charleston’s historic harbor, church steeples and legendary King Street. The Francis Marion Hotel, with its central downtown location, is an easy walk to the antebellum homes, magnificent gardens, antique shops and boutiques, and world-class restaurants. The Francis Marion Hotel demonstrates their commitment to environmental sustainablility by participating in the Green Hotel Association as a partner member. 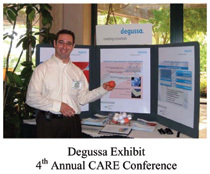 Last year’s conference saw almost a dozen companies or agencies displaying their products at the conference. It’s a great way to network and show the people the latest and greatest innovations in reclaiming post-consumer carpet! Conference registration details will be released at the end of 2006. 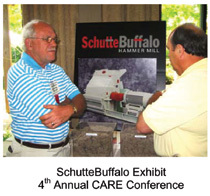 Visit the CARE website to keep up with all of the latest developments and conference details.